With guidance and training, we’re fashioning tomorrow’s leaders today. College is an excellent opportunity for students to take on new responsibilities, especially leadership positions. But what if you’ve never held a leadership position before coming to college? What if you’re curious about taking on such a responsibility, but haven’t had anyone show you the ropes? 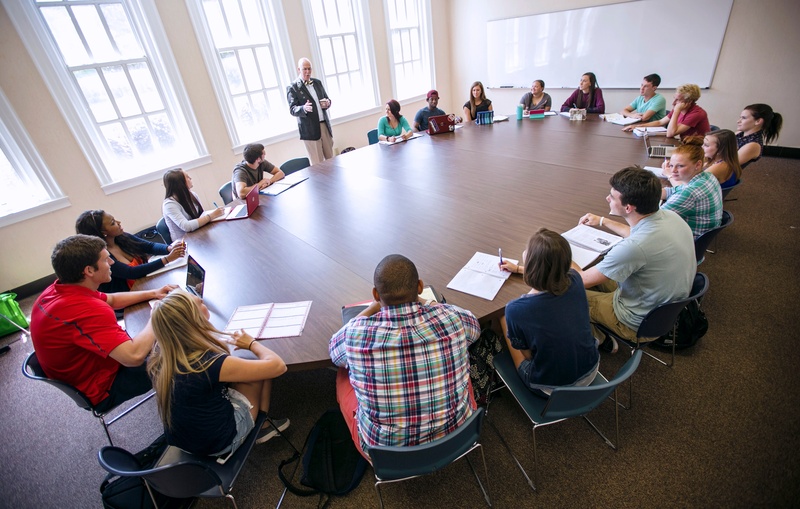 Active since 2013, Coker College’s Emerging Leaders Program is a chance for first-year students to jump head-first into leadership lessons. The intensive program is designed to help them discover and develop their personal leadership style in an effort to equip them with the confidence and skills to become successful student leaders. The voluntary program runs for 15 weeks and requires a commitment of only one hour per week, starting at the end of November and ending in early April. Students who complete the program (typically between 18-25 students each academic year) are recognized at the Excellence in Leadership Awards in the spring. Though the program is geared towards first-year students, it is open to all students. The program is a bit like a crash course on the principles of leadership, covering each individual’s personal leadership style, conflict resolution, how to effectively create change, how to work with others more productively, and how to facilitate meetings. “I’m a big believer in strengths-based leadership, so we find out what their individual strengths are and help them recognize how theirs and others’ strengths contribute in different ways, as well as how they can utilize them together,” says Caroline. If you’re interested in participating in the Emerging Leaders program, express your interest to a professor or advisor and be on the lookout for a call for nominations!